You know what’s great? Mechanical keyboards — what with their satisfying clicks. You know what’s less awesome? Having to listen to that obnoxious racket all day. Razer claims you can have your cake (in this case, tactile feedback) and eat it too (blessed silence!) with its BlackWidow Stealth Editions. These are, more or less, the same boards that debuted last August, but with quieter switches and a matte finish. Both models are available now, with the same programmable keys and on-the-fly macro recording, while the Ultimate version adds “extreme anti-ghosting” to its already impressive noise pwnage. The standard model will run you a cool $80, while the Ultimate weighs in at a hefty $140. Check out the gallery below, as well as the PR and video after the break. 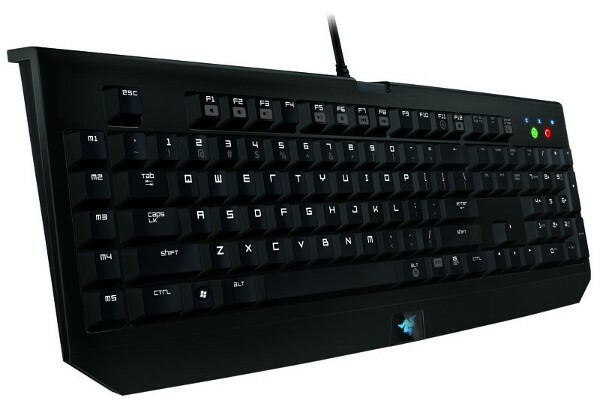 Razer BlackWidow Stealth keyboards keep the mechanical keys, ditch the noise originally appeared on Engadget on Tue, 30 Aug 2011 17:41:00 EDT. Please see our terms for use of feeds. We’ve seen it before, but not against one of its chief rivals: the Samsung Galaxy Tab 10.1. Now here they are, sharing a little table space — but not getting along too well. On one hand the Tab 10.1 is thin and light on its feet. On the other, the ThinkPad Tablet is large and would very much like to be in charge of your corporate lifestyle. Due to Honeycomb’s limited customizations, Lenovo’s tackling this angle thanks in large part to some enterprise- and stylus-friendly software, much of which the device comes with pre-installed. Join us after the break for a quick demonstration, plus a look back at our first hands-on with the thing. Gallery: Lenovo ThinkPad Tablet vs. Samsung Galaxy Tab 10.1… fight! 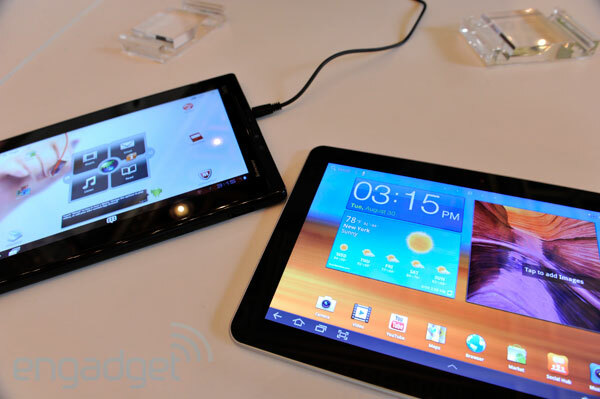 Continue reading Lenovo ThinkPad Tablet vs. Samsung Galaxy Tab 10.1… fight! Lenovo ThinkPad Tablet vs. Samsung Galaxy Tab 10.1… fight! originally appeared on Engadget on Tue, 30 Aug 2011 17:14:00 EDT. Please see our terms for use of feeds. As it turns out, Plus is becoming the new Moto sequel. Soon after announcing the Defy+, a phone that offers a moderate bump in specs from its predecessor, HelloMoto is back at it again with the Pro+. This obvious follow-up to the Motorola Pro (or Droid Pro, as it’s known in the US) doesn’t bring much of an improvement to the table. It’s adorned with the same 1GHz CPU, 3.1-inch VGA (640 x 480) display, 512MB of RAM and five megapixel camera; the largest differences in the new model are the inclusion of Android 2.3, 4GB of internal storage, an improved battery (1,600mAh) and a rounded design — in contrast to the original’s squared look. It’s due in Asia and Europe starting in October, so keep an eye out… if that “Plus” is enough to excite you. Head below for the full press release. Motorola Pro+ announced with Gingerbread, few other improvements originally appeared on Engadget on Tue, 30 Aug 2011 16:50:00 EDT. Please see our terms for use of feeds. This entry was posted on August 30, 2011, 5:49 pm and is filed under Mobility. You can follow any responses to this entry through RSS 2.0. Both comments and pings are currently closed.